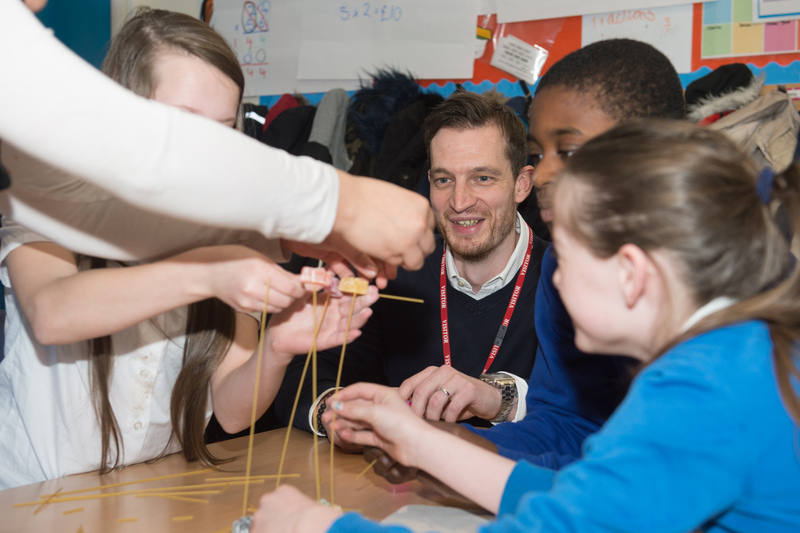 Pupils at Bearbrook Combined School in Aylesbury were challenged to create the tallest structures using just pasta and jelly babies on Tuesday, March 13. Setting the challenge was Danny Miller, from Network Rail, whose work in the community is supported by the East West Rail Consortium – which includes Buckinghamshire County Council and Aylesbury Vale District Council – as part of its contribution to the scheme. East West Rail will see services between Aylesbury and Milton Keynes, and Oxford and Bedford via Winslow, restored by the early 2020s, with a link from Oxford to Cambridge following by 2030.